Racing at Penn National. Photo by The Racing Biz. With snow and frigid temperatures on the way in the Mid-Atlantic, the region’s two nighttime tracks are going to miss some racing action. Charles Town Races announced earlier Tuesday that it would cancel its card for Wednesday, January 30 “due to the extreme cold.” The temperature at the track’s scheduled 7:00 p.m. first post is predicted to be just 14 degrees. Racing at Charles Town tentatively is scheduled to resume Thursday night, January 31. Meanwhile, Charles Town’s sister track, Penn National, went even farther. 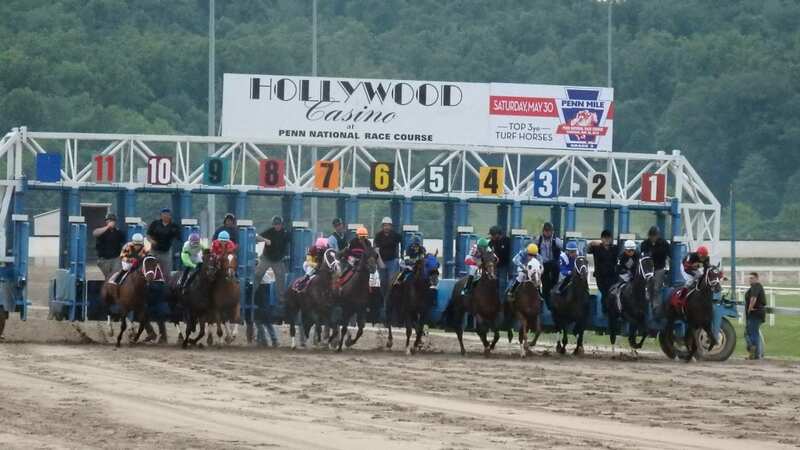 With snow, winds, and even colder weather on the way, management at Penn has called off racing for the entire week, canceling live action for four cards, Wednesday through Saturday.